A busy deciduous shrub with large forest green leaves. 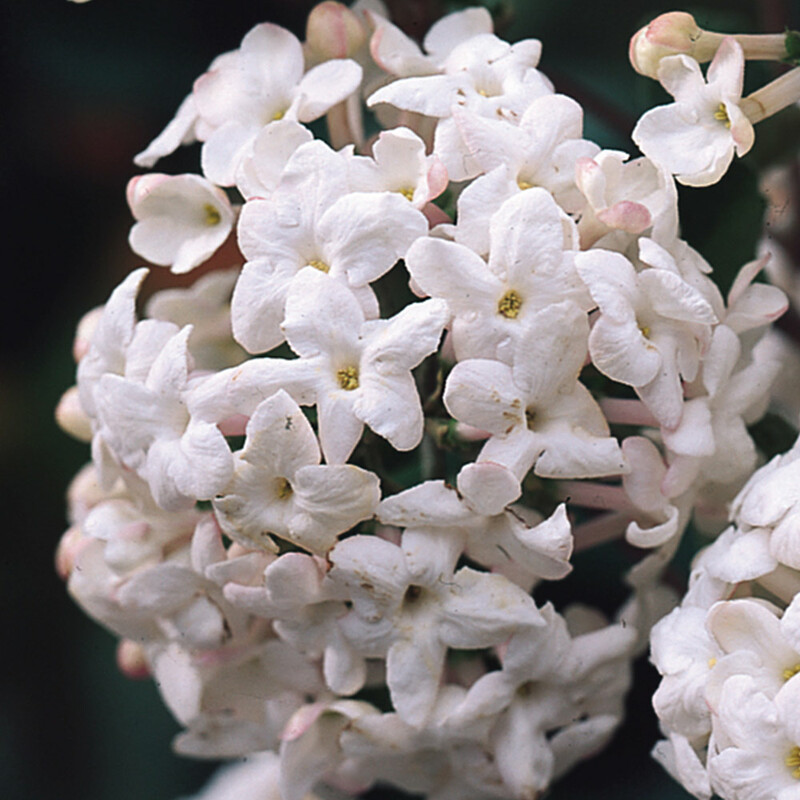 Large clusters of red buds open to highly fragrant white flowers sometimes flushed with a hint of pale pink. 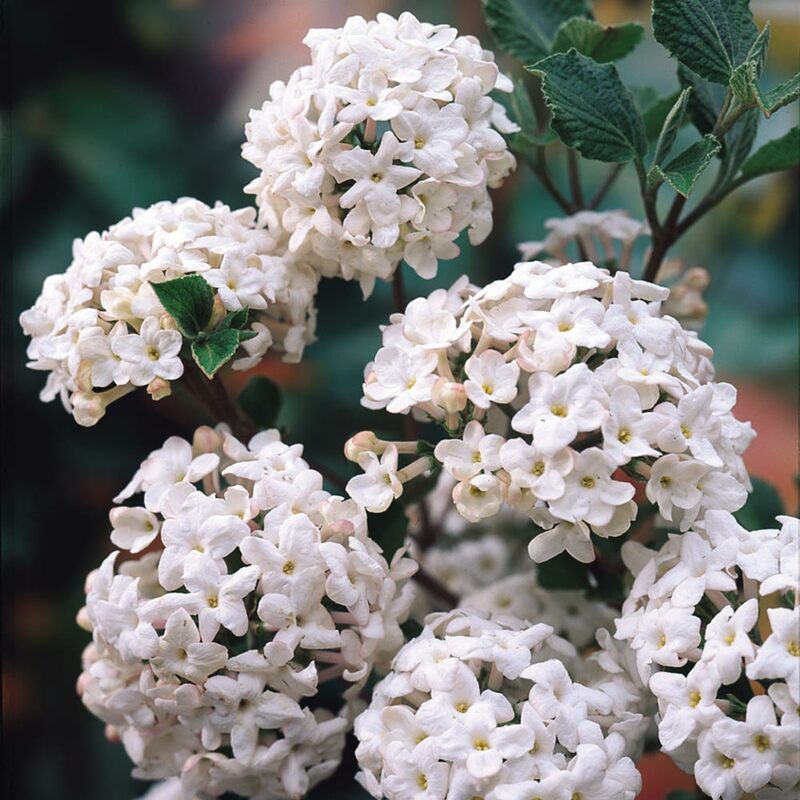 The magnificent clusters of blooms are up to 10cm across, the blossoms followed in late summer by oval fruits that ripen to almost black amongst leaves that turn coppery-red in the autumn. 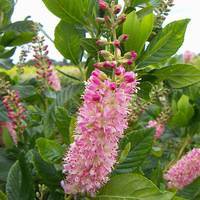 A medium sized shrub, it's mature height is 1.75m and it will withstand hard annual pruning to maintain an attractive shape and increase its flowering potential. Root ball, 25-30cm plant supplied. Soil Type Well cultivated, humus rich soil. Well cultivated, humus rich soil. 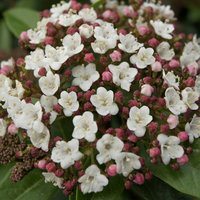 Viburnum prefer well cultivated soil, but will grow in most fertile, well drained soil. 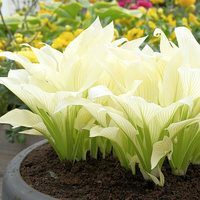 They like to be planted in areas of sun or partial shade, and should be planted to avoid strong winds. Viburnum are fully hardy plants that will bear beautiful/colourful flowers. 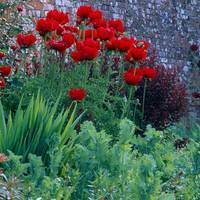 They can be cut back after flowering (deciduous types) or in May (evergreen types).